In Jennifer Lopez’s first ever book, True Love, she explores one of her life’s most defining periods—the transformative two-year journey of how, as an artist and a mother, she confronted her greatest challenges, identified her biggest fears, and ultimately emerged a stronger person than she’s ever been. Guided by both intimate and electrifying photographs, True Love an honest and revealing personal diary with hard-won lessons and heartfelt recollections and an empowering story of self-reflection, rediscovery, and resilience. In Just Between Us, Mario shares a behind-the-scenes look into his successes and disappointments in the entertainment business and how his tight-knit family and long-standing values helped keep him grounded, no matter what. 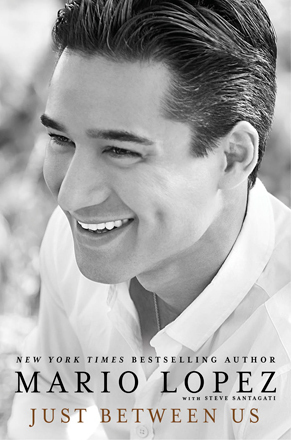 With wit and candor, Mario reveals his most intimate never-before-told stories, including the details of his often tumultuous and largely public love life.